If you need to travel across the territory of Russia on the way to your final destination you should apply for a transit visa. Transit visas are valid for the maximum of 3 days when travelling by plane and 10 days when travelling by train. Also, If you are will be less than 24 hours in transit zone, no need to transit visa. For further information please contact us. Russia world’s largest nation bordering Europe and Asia, has a vast natural resources primarily relying on oil, gas and energy exports to drive growth. Russian economy is 6th largest in the world. The minimum investment is 100000 USD (no limit). 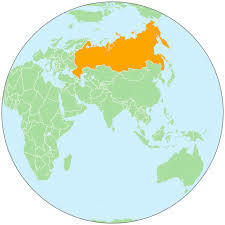 Russia, the largest country in the world, is bordered by European and Asian countries and the Pacific and Arctic Oceans. Its landscape stretches from the tundra and forests to subtropical beaches. It is famous for the Moscow Bolshoi and Mariinsky Ballet companies of St. Petersburg. St. Petersburg, founded by Peter the Great of Russia, the leader of the Baroque Winter Palace, in which is now part of the collection of works of art of the State Hermitage.